There’s significant evidence that Trump plans to force a constitutional crisis. Here’s how America can survive such an eventuality. Editor’s Note: “This article was originally posted on March 20, 2018. The article has been updated in light of recent events such as the growing uncertainty regarding the future of Deputy Attorney General Rod Rosenstein. As Vox reported today: “On Monday morning, multiple outlets reported that Deputy Attorney General Rod Rosenstein had resigned or was considering resigning. However, Rosenstein is now set to meet with Trump at the White House on Thursday, where the fate of his job will likely be determined. The current uncertainty throws the future of special counsel Robert Mueller’s Russia investigation into question. Inch-by-inch, indictment-by-indictment Special Counsel Robert Mueller’s investigation is closing in on Trump, members of his family and inner circle, and business associates. Michael Flynn, former national security adviser and a key Trump campaign surrogate, pleaded guilty to making false statements to federal investigators in December. Rick Gates, a top aide on the Trump campaign and a longtime business partner of Paul Manafort, pleaded guilty to false statements and one count of conspiracy. George Papadopoulos, a foreign policy adviser on the campaign, pleaded guilty to false statements. Alexander van der Zwaan, a London-based Dutch attorney, pleaded guilty to making false statements about his contacts with Gates and an unnamed Ukrainian. 13 Russian nationals and three Russian companies have been indicted on conspiracy charges, and some on identity theft charges, related to Russian social media and hacking efforts. Richard Pinedo, a California resident, has pleaded guilty to an identity theft chargerelated to the Russian indictments. Paul Manafort, Trump’s campaign chair, is facing two separate indictments — one in DC about conspiracy, money laundering, false statements, and failure to disclose foreign assets; and one in Virginia about tax, financial, and bank fraud charges. The special counsel’s chief detractor has been the president himself. Trump, in heated public remarks and on social media, has repeatedly decried the probe as a “witch hunt.” His animus has stoked fears that Trump plans to fire Mueller, prompting some Democratic lawmakers to create legislation that would protect the special counsel from such an attack. Mueller was appointed after President Trump fired FBI Director James Comey who had been leading the investigation into Russian meddling. And he did so again, several times over the course of the first weekend in June 2018. 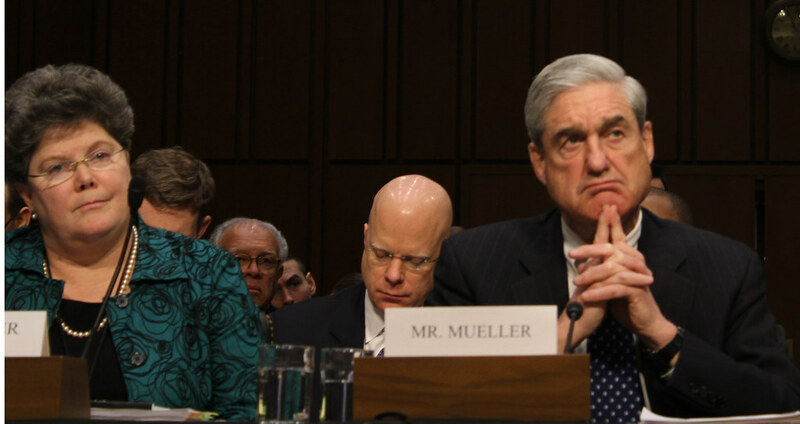 He was back at it again on Sunday whimpering about Hillary Clinton, the FBI, the Department of Justice, and Paul Manafort [no need to bore you with the details…]. His analysis is more important – and concerning – now than ever in the wake of recent events and Trump’s blatant attacks on the Russia investigation. Abramson’s post was captioned by an image that reads: “Instructions for a Constitutional Crisis” and details exactly how this scenario might play out. If you have even ONE follower who says there was no Trump-Russia collusion, please share this with them.